Expand your vinyl figure collection into the farthest reaches of space! Based on the 1986 sci-fi classic, the characters of the Nostromo voyage have been vinimated. 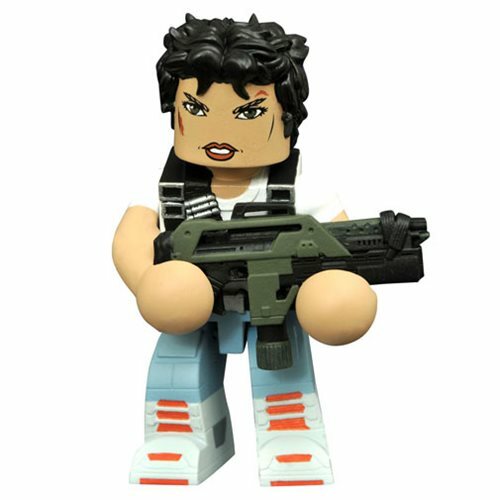 Designed in the Minimates block-figure style, this 4-inch Aliens Ripley Vinimate Figure features a ball-jointed neck, and comes packaged in a full-color window box. Ages 13 and up.